The science behind super heroes might not be quite all there. Yet. We have faith in our scientist to make some grave mistakes. Expose themselves to some gamma radiation. "Just wanted to see what would happen" they'll say, as they turn into the Hulk. Or let some radioactive spider escape the lab and bite some poor unsuspecting kid. Just be careful if you let your kid go tour some science labs that are doing wacky experiments on spiders. 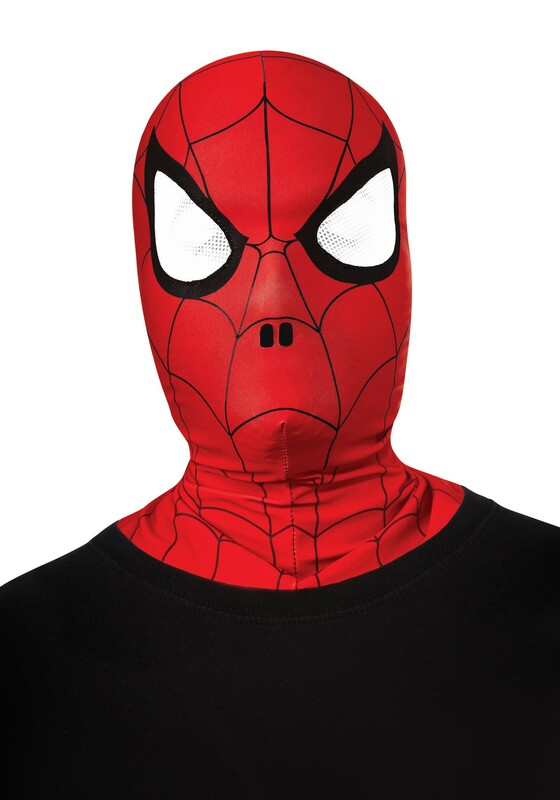 You might just have to get this Child Overhead Spider-Man Mask for more than just a Halloween costume. They might end up developing super powers. Although is it a super power to be able to climb walls? It must depend on how they would be using their new abilities. Surely, your little Spider-Kid would be using them to defeat evil doers. They would be webbing up bad guys left and right. Climbing walls to save innocent people. On second thought, for their safety, and your sanity it might be better to let them stay home from that field trip. Just get this mask as part of a Halloween costume. I have been looking everywhere for this mask. my great nephew who is 3 adores spiderman. and this was the only thing missing. he kept asking for the one with the white eyes. I cant wait to give it to him next weekend. I think im more excited than him.